These poems have been in process since my MFA program, and submitting poems for publication is hard. This new online journal seems like such a nice fit for this pair. Look at the beautiful photography! And the editors have been so nice to work with. 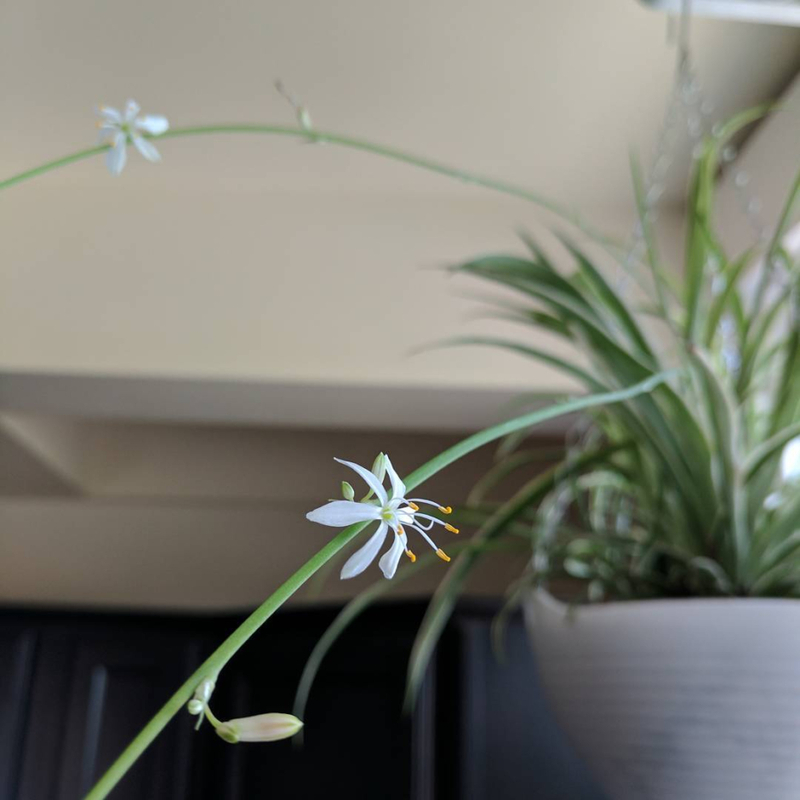 I recently found little white flowers on the spider plant in my kitchen. I was surprised because I usually kill houseplants – even succulents, the ones everyone says are soooo forgiving. To me, these flowers meant I wasn’t doing everything wrong after all. The little cycle of watering and sun I’d settled upon had worked this time. Life! So, yes, seeing these poems published feels a little bit like that. I’m so happy for you. I don’t even understand the process of writing or publishing poetry. I can appreciate the struggle, though. So very proud of you for staying with it and sending your beautiful art out into the troubled world. Makes me think of C S Lewis description of the ethereal concept of “joy”. Hard to describe but there anyway. Yay! All kinds of happy from these! Your poems are beautiful Felic, and I am thankful to see them published! So proud of you! They’re lovely. And so is that spider plant. Woah, this cute little plant looks exactly like mine! Thank you very much for posting about it. <3 Now I'm knowing the name of it because of you.